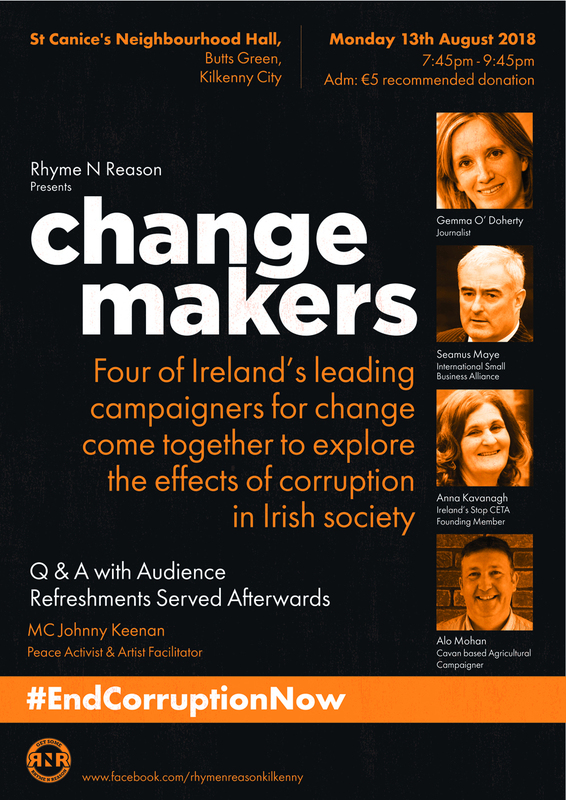 Award-winning investigative journalist Gemma O' Doherty will be among the speakers at an event in Kilkenny next week discussing corruption in Ireland, its impact on democracy and the public good. Ms O' Doherty will headline a panel discussion entitled 'Change Makers' at St Canice's Neighbourhood Hall in the Butts on Monday, August 13 at 7.45pm-9.45pm. The other speakers are campaigners for change Seamus Maye, Anna Kavanagh and Alo Mahon. They will discuss their own battles in tackling wrongdoing at the hands of state institutions and why local communities need to stand up against corruption in all its guises in order to create a fairer society. The event is being hosted by Rhyme N' Reason -Spoken Word Events - Kilkenny City. Investigative journalist Gemma O'Doherty was very recently honoured as a hero of Irish storytelling at the Féile na Laoch in Cork. Director of Rhyme N' Reason Spoken Word Events Johnny Keenan says he believes in the whole 'old school' style of the town hall meeting. This is why he is making 'Change Makers' accessible to everyone, aged from 18 to 80. Entry to Monday's event is a recommended €5 donation to cover hall hire, posters, PA and refreshments. There will be a Q&A with the audience, and refreshments will be available afterward. For more, see Rhyme N' Reason.